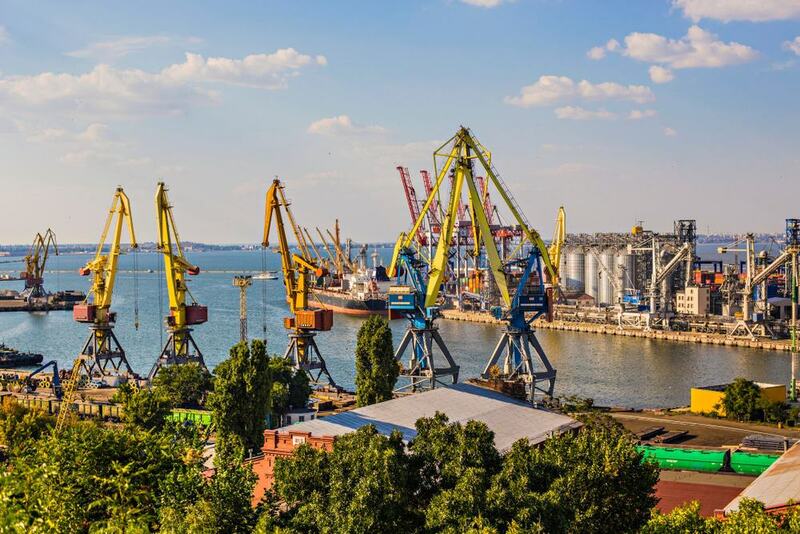 Established by Imperial decree at the end of the 18th century, Odessa quickly flourished as a crucial port on the Black Sea. In the 19th century Odessa was the most populous city in the future Ukraine, and was inhabited by titans of the age like the writer Alexander Pushkin and Field Marshall Vorontsov who made his name in the Napoleonic Wars. 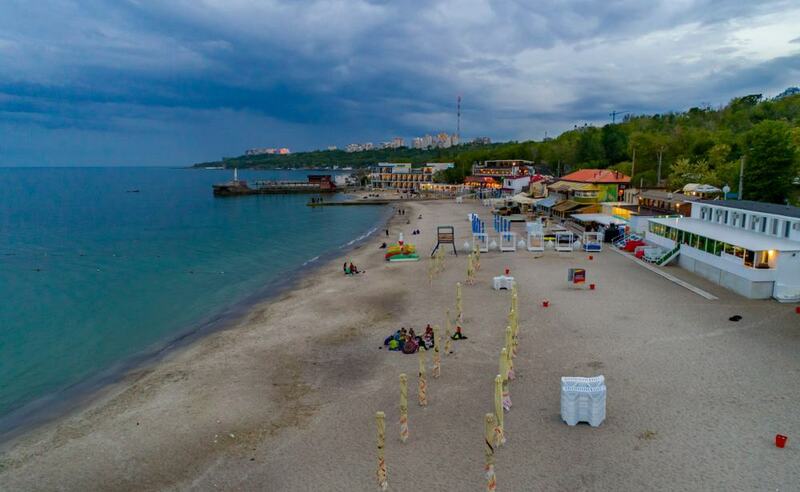 Nowadays Odessa is Ukraine’s favourite holiday escape for its culture, mild climate and beaches. A lot of the architecture from its golden age endures at palaces, cultured parks, boulevards, ceremonial stairways and a spellbinding opera house, held as one of the finest in Europe. 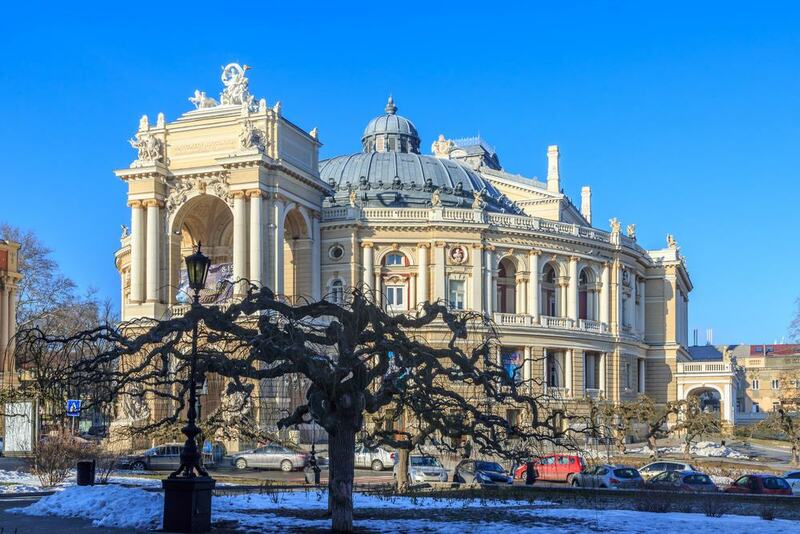 The magnificent opera house is Odessa’s piece de resistance and was conceived by the Viennese partners Fellner & Helmer in the 1880s. Fellner & Helmer contributed dozens of opera houses across Central and Eastern Europe, but they looked back on Odessa’s as their masterwork. If you want to know the finer details of its Academic architecture and technical specifications you could take a daytime tour, but nothing beats coming to an opera or ballet performance. These are very reasonably priced by Western European standards, and seats in the stalls and at the front of the balconies go for as little as €15. So a night watching Carmen, Swan Lake or Iolanta could be a spur of the moment thing provided you packed a smart-ish outfit. This grand staircase is a very ceremonious way to enter Odessa from the port. Paved with granite, the stairway was ordered by Prince Vorontsov as a gift to his wife and built at the turn of the 1840s. There are 192 steps in total, over a length of 142 metres and a difference in elevation of 27 metres. The stairway has a few intriguing quirks: One is that it is much broader at the bottom (21.7 metres) than at the top (12.5 metres). That is intentional and was done to create a false perspective and make the stairway seem larger when you’re viewing it from below. Also interesting is that when you’re standing at the top you can see only the landings while from the bottom you can see only steps. 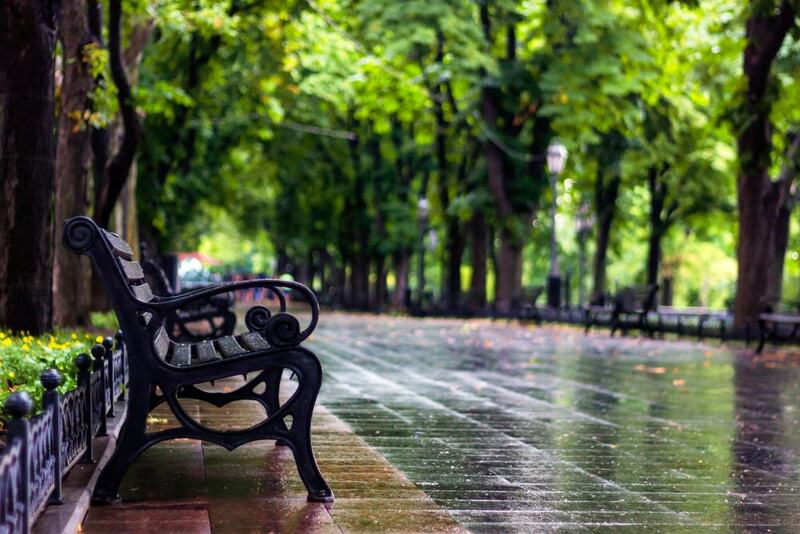 Running horizontally across the city for almost a kilometre, Deribasivska Street is Odessa’s beating heart. Whether you’re shopping, dining or sightseeing you’ll keep finding yourself on this dynamic artery. 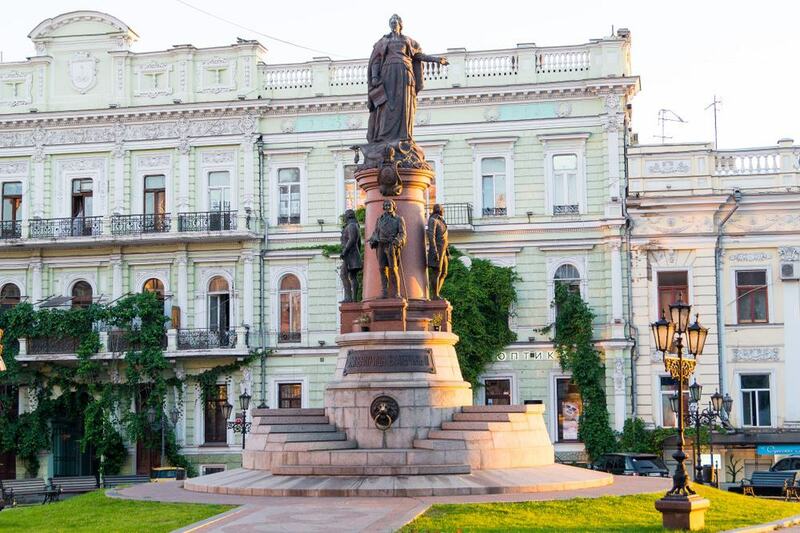 Deribasivska Street is named after one of Odessa’s founders, the Neapolitan José de Ribas, and you can find his statue on the eastern end of the street. The western half was pedestrianised in 1984 and has long lines of 19th-century and early-20th-century mansions. In summer this half of the street is a blur of sightseers, buskers and other street artists, and there are long cafe and restaurant terraces where you can take it all in. 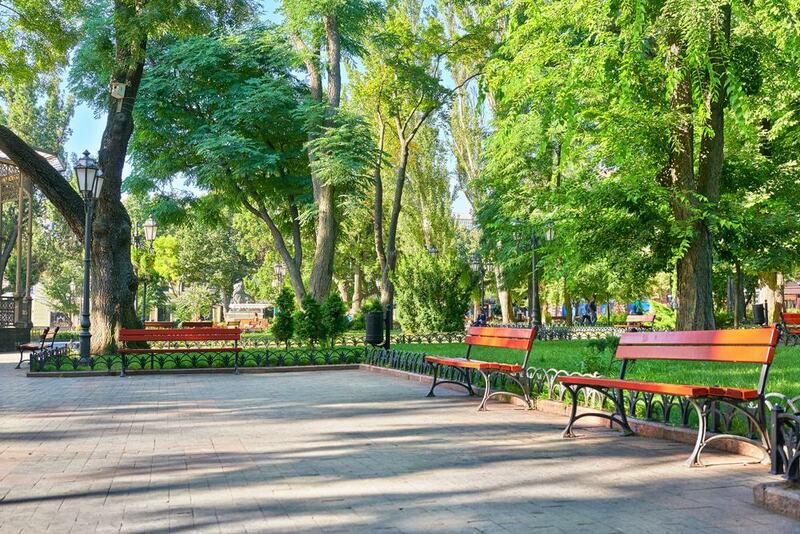 Odessa’s oldest park was landscaped by the brother of José de Ribas in 1803 and was initially a private property. It opens onto Deribasivska Street in a web of paved paths, iron lanterns and flowerbeds with little iron fences. These all centre on a beautiful pavilion, fountain and the summer theatre for the Odessa Philharmonic. There are recitals most days in the summer to add even more sophistication to the place. The City Garden is also the site of some monuments honouring Odessa’s cultural figures: The Twelve Chairs monument is a nod to the famous Russian satirical novel of the same name by the brothers Ilf and Petrov. 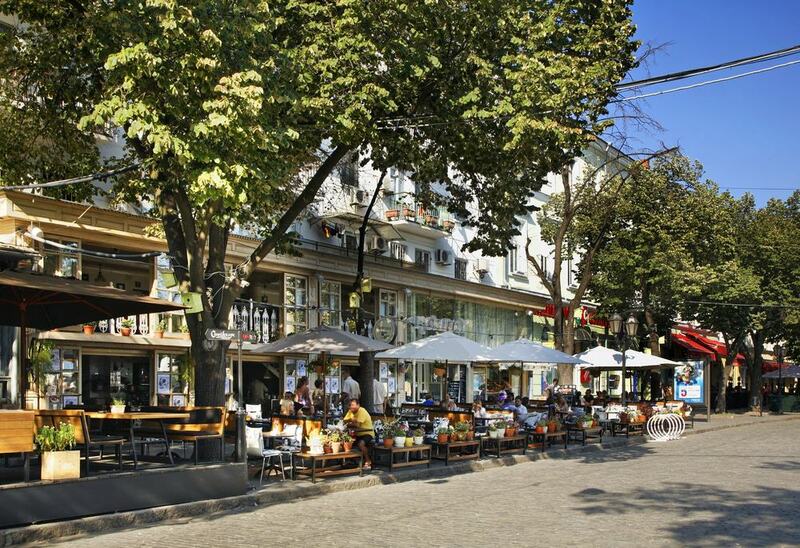 Perpendicular to the upper landing of the Potemkin Stairs, Primorsky Boulevard is a cultured street and walkway beside Istanbul Park. On the city side there’s a row of tall mansion blocks, now hotels and museums, while looking out in the harbour are four lanes of pedestrian paths divided by lawns enclosed with little wrought iron railings. At the top of the Potemkin Stairs you can board a funicular to descend the slope. Here there’s also a statue of the Duke of Richelieu the first Governor of Odessa, in Roman garb. Another monument, on the far eastern side of the boulevard, pays homage to Alexander Pushkin, who lived in Odessa for just over a year up to 1824. 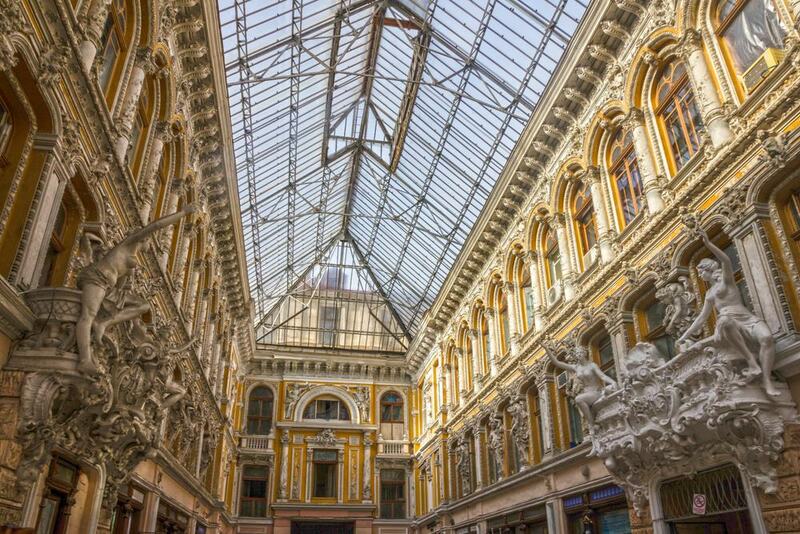 Just off Deribasivska Street there’s a sumptuous late-19th-century shopping passage covered with a metal and glass canopy. The Odessa Passage is part of a sizeable development that includes a hotel on its upper three floors. It’s all in a lavish Academic style: You’ll be met at the entrances by statues of Mercury and Fortuna, and on the first floor there are stucco mouldings and rows of exuberant sculptures. Its all a testament to the extravagance of the last years of Tsarist Russia. The passage has boutiques, souvenir shops and cafes to potter around, and a plaque commemorates the site of Carl Fabergé’s Odessa branch. 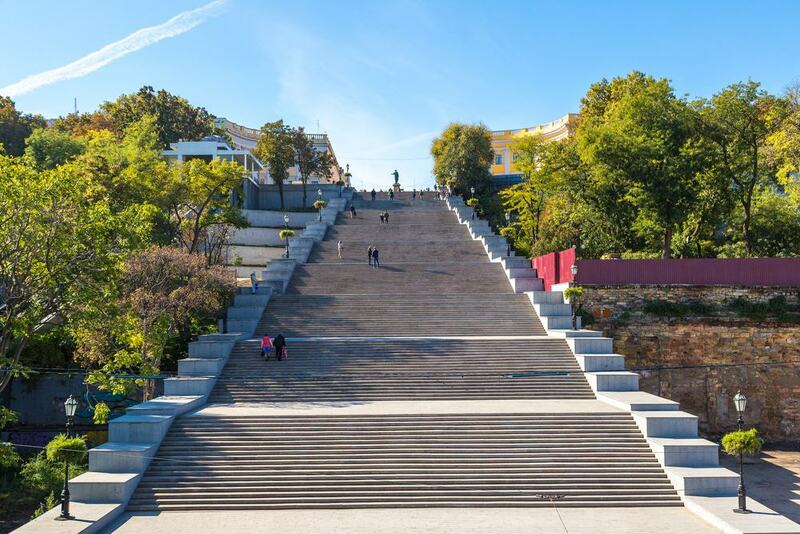 Follow Katerynyns’ka Street from the upper landing of the Potemkin Stairs and you’ll soon be at the foot of a commanding monument that has many clues to Odessa’s past. On a plinth stands Catherine the Great who in 1794 issued the decree to build a port and city on this spot. And at the base are Count Grigory Potemkin who was an advisor to Catherine, the military officer José de Ribas, Platon Zubov another of Catherine’s favourites and finally the Flemish engineer François Sainte de Wollant. The monument was built in 1900 was removed in the 1920s during the Soviet period and finally restored in 2007 on the initiative of a local businessman. To look at this church without know its story, you’d never believe it could be less than 20 years old. 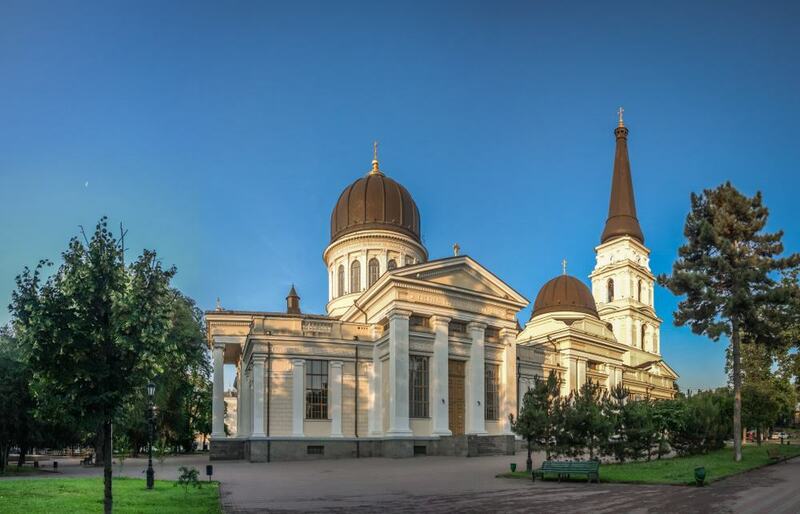 The original Neoclassical Transfiguration Cathedral was erected in 1827, but demolished by the Soviets in 1936. It wasn’t until 1999 that the building was reconstructed according to the same plans. The project took less than four years, and when it was re-consecrated, some of the distinguished burials were moved back after having been disinterred 80 years ago and buried elsewhere. The most famous of these is the Governor of New Russia Prince Mikhail Semyonovich Vorontsov, whose tomb now has pride of place inside. 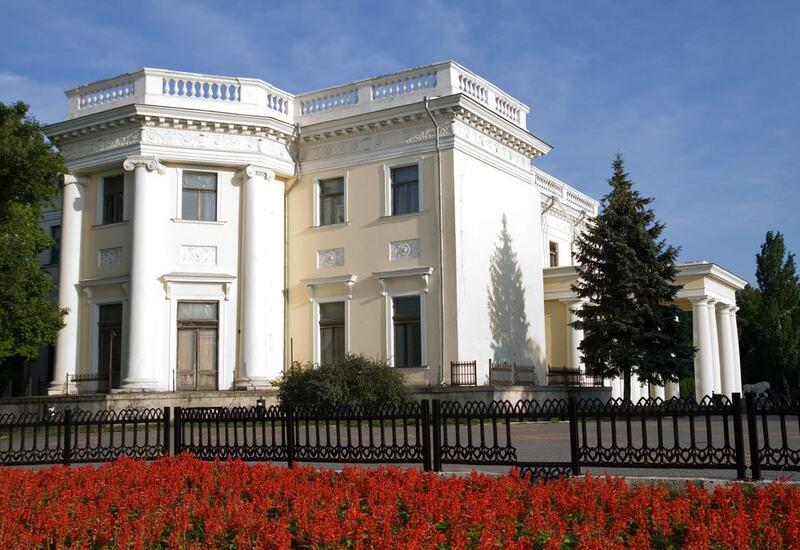 As the oldest museum institution in Ukraine, the roots of this attraction can be followed back to 1825. There are up to 170,000 exhibits at the museum, all relating to the ancient history of this region, as well as Greece, Italy, Egypt and Cyprus. The palace housing the attraction is from 1883, and catches the eye for its big Neoclassical portico. The sarcophagi, papyrus and hieroglyphics in the Egyptian galleries are always crowd-pleasers. And there’s a huge collection of 50,000 coins from Ancient Greece through to the days of the Russian Empire. The museum also maintains an exhibit under a glass canopy on Primorksy Boulevard where you can view the foundations of a Bronze Age settlement from the 5th to 3rd centuries BC. This fabulous palace was completed in 1830 and rests on the western end of the Primorksy Boulevard. It was ordered by Prince Mikhail Semyonovich Vorontsov, who hired the Sardinian architect Francesco Boffo to design it. Vorontsov was so pleased with Boffo’s work that he quickly commissioned him to design the Potemkin Stairs. It’s a landmark to view from the outside, but there’s a lot to appreciate. Standing over the port is a crescent-shaped colonnade, while guarding the palace is a pair of lions modelled on the Medici lions in Rome. During a bombardment in the Crimean War the palace and grounds were riddled with hundreds of cannonballs, one of which is still stuck in a wall on the palace’s ground floor. Around the coast from the port is the first of a string of beaches that continues for a few kilometres to the south. Langeron is the easiest to get to and is invariably packed in July and August, even though it’s a little narrow and bereft of sand. If you find Langeron a little rough, you only need to keep going down to find one you do like. TABU is broader and generally cleaner, and there are also affordable private beach clubs like Bono and Ibiza in Arcadia if you want waiter service and a bit more peace. At the foot of the Potemkin Stairs you can allow a few minutes to poke around the passenger jetty and watch the Black Sea. The city owes its 19th-century success to the fact that it’s warm-water port, so doesn’t freeze in winter, a vital characteristic in that period. Over the last 200 years the seafront has seen some dramatic moments in the Crimean War and the mass departure of Jews during a succession of pogroms at the end of the 19th century. On the jetty behind the terminal building there’s a statue depicting a fisherman’s wife holding a child and looking out to sea, along with a small maritime museum and a couple of seafood restaurants. 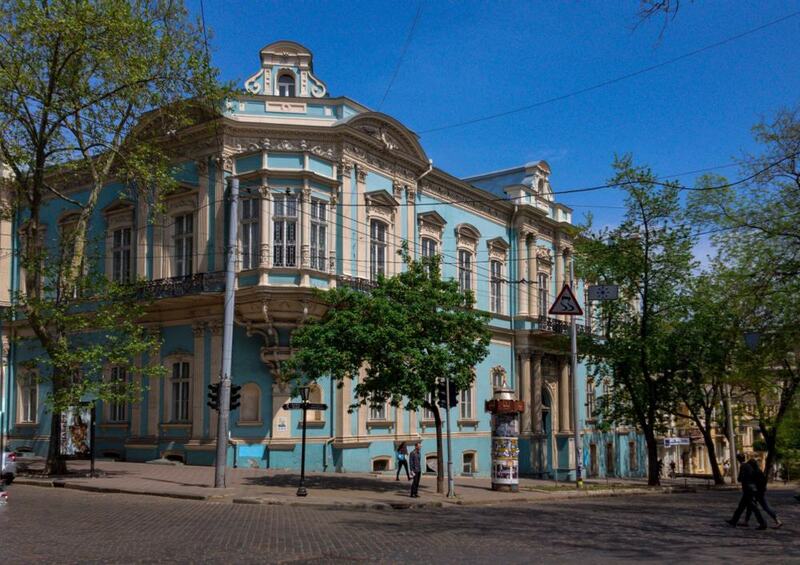 A couple of roads down from the Opera House, on Pushkins’ka Sreet is a compelling art museum in a noble sky-blue mansion from 1858. 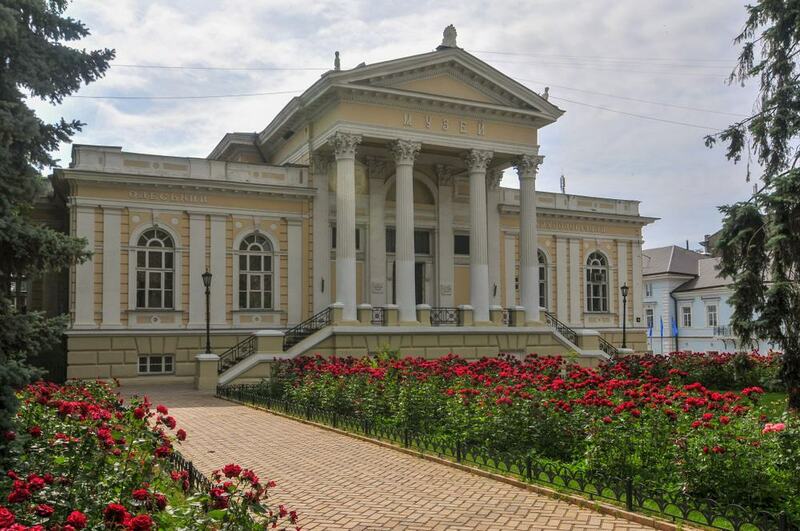 The museum was founded in 1923 and its art comes from a mix of private collections and pieces assembled by Odessa’s university. The name is a little misleading, as apart from a some porcelain, weapons and pieces of furniture nearly all the art is from western Europe, mainly the Netherlands and Italy. There are paintings by Caravaggio, Rubens, Francesco Guardi, Gerard David and Abraham Bloemart. Maybe the standouts are the two “tronies” of the evangelists St Luke and St Matthew by the Dutch Baroque master Frans Hals. Long before Odessa existed there was an Ottoman fortress on the site of the this Park over the harbour. When it was taken in the 18th century it was replaced by a Russian stronghold, which soon became obsolete as the frontier shifted far to the southwest. So from the beginning of the 19th century this area became the port’s quarantine, and there’s still an arcade from this period where you can view the container port. 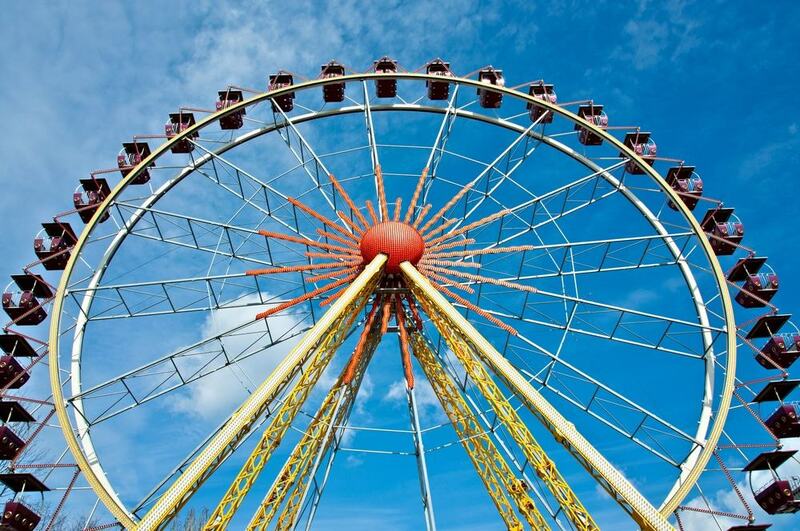 It was all turned into a park in 1875 and at first was named after Tsar Alexander II, before switching to the Ukrainian poet Taras Shevchenko in the 1950s. There’s a monument to Shevchenko at the entrance, as well as one to Tsar Alexander II which has been restored since the Soviet period. The Odessa Catacombs in Nerubayskoye Village are an extensive labyrinth beneath the city (and its surroundings). 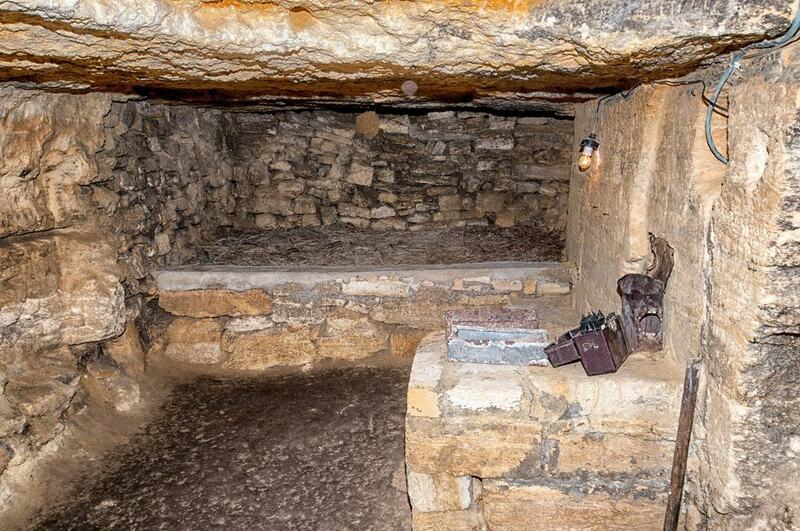 The catacombs are the longest in the world. A guided tour is a great way to learn more about what they were used for (it involves robbers, smugglers and hiding in World War II).